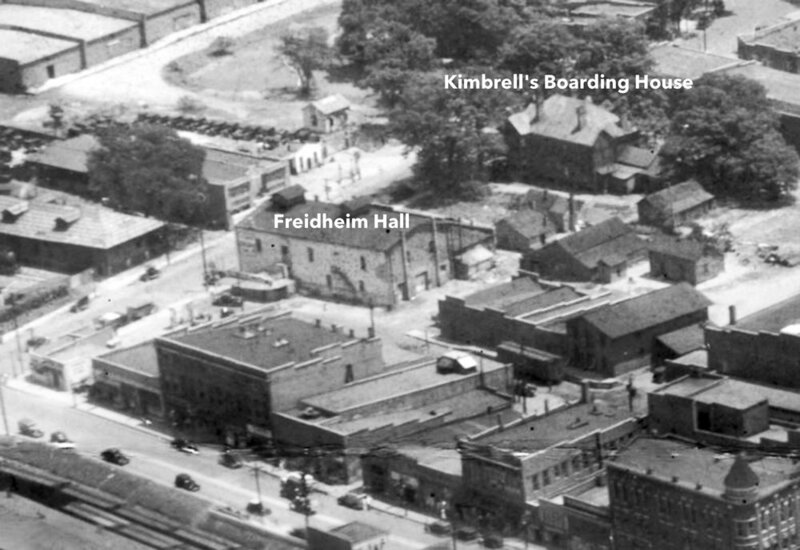 Kimbrell’s Boarding House was a long operating facility along East White Street from the 1910’s until WW II. Many prominent Rock Hillian’s lived there including railroad manager Capt. McKewn Albergotti of Blacksburg, S.C. It is unclear as to when he took up residence at Mrs. Kimbrell’s Boarding House but he lived here for years doing his banking in Rock Hill and apparently riding the train into Blacksburg as his schedule required, after moving to Rock Hill. After the house was demolished to make room for the Fire Department, Mr. Albergotti moved to Hampton Street and lived at the Rhea home. The old Fire Dept. Building on this lot was demolished during urban renewal efforts.